Bike has already removed the rear fender-plate holder so i need to know the correct steps to do the disassembly. 4. Remove final drive ( 4 allen bolts)? 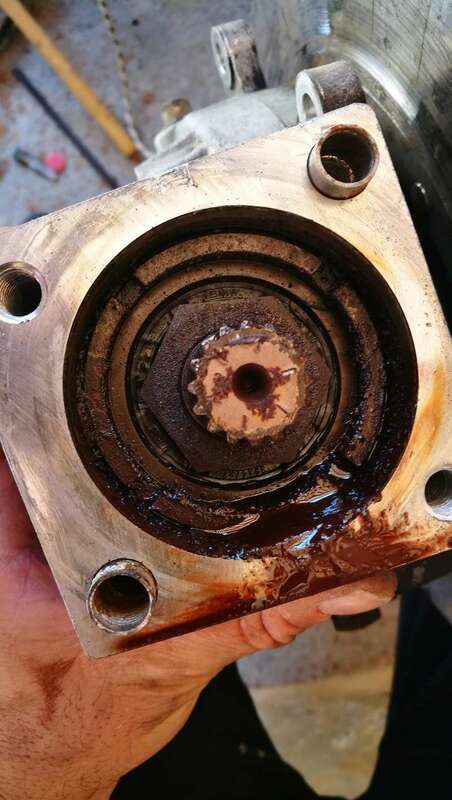 Do i need to bleed the lubricant of the final drive shaft before that? 7. Pull back the swingarm. 3. brake fluid for bleeding due to calipers replacement. 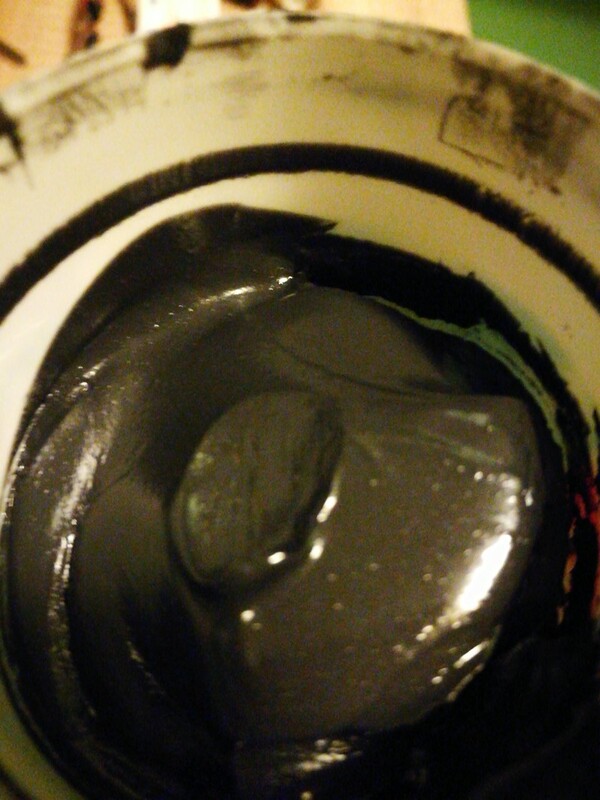 There is oil in the final drive, drain it because otherwise it will leak all over the place. Its only about 350ml or something like that. 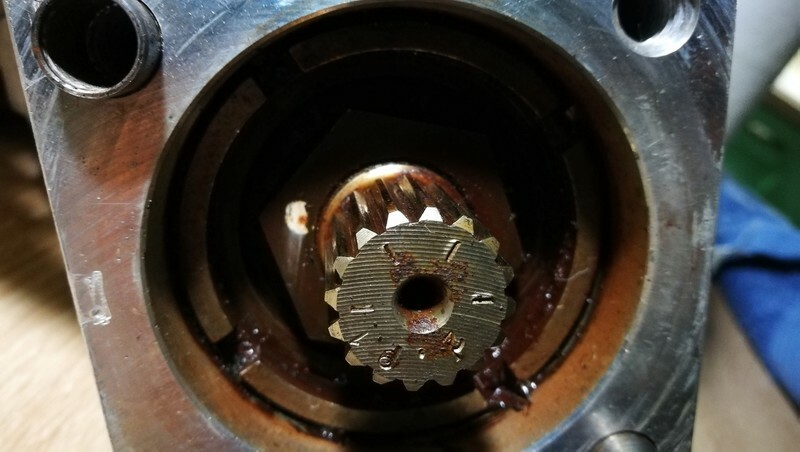 There shouldn't be oil in the drive shaft itself or inside the swing arm but sometimes if the seal at the back of the gear box has a little leak it can get oil in there. Mine was but the oil also preserves the shaft. You can leave the speed sensor in and just disconnect it from the loom. One less place for oil to leak from. Chances are the rubber boot that goes from the swing arm to the gear box will be split. So I would have a new one for that. The gear position indicator also uses a gasket. In my experience a new switch and gasket is the way to go. Grease to be used is Staburags or Honda. It doesn't take much but good to get it right. The screw on the brake disc may be hard to get out, get that off after you take the wheel off as you could end up drilling it out. All it does is keep the disc in place while the wheel is off. The wheel bolts are what hold the disc for braking. 1. The rear disc bolts round off (they're stuck in with red Loctite). Recovery procedure is to drill the heads off, then remove the remaining studs by either filing a flat on either side until you can get a 6mm or 7mm spanner on, or just grip the studs with a mole wrench (vise grip). I'd go for the filing first. 2. The heads snap off the GPI retaining bolts. They're only 4mm set screws and are probably pretty rusted by now. If they come out clean, replace them with 4mm allen bolts and lots of copperslip or similar. If they snap, you're going to hate me forever because it's a gearbox off, strip and specialist removal. There isn't the room in there to drill them out and replace with 5mm bolts; the originals have to come out. It might even be cheaper to get a s/h gearbox shipped in (minus the GPI because you don't want the same problem). Thank you both on your advises , this is why I posted prior dismantling. 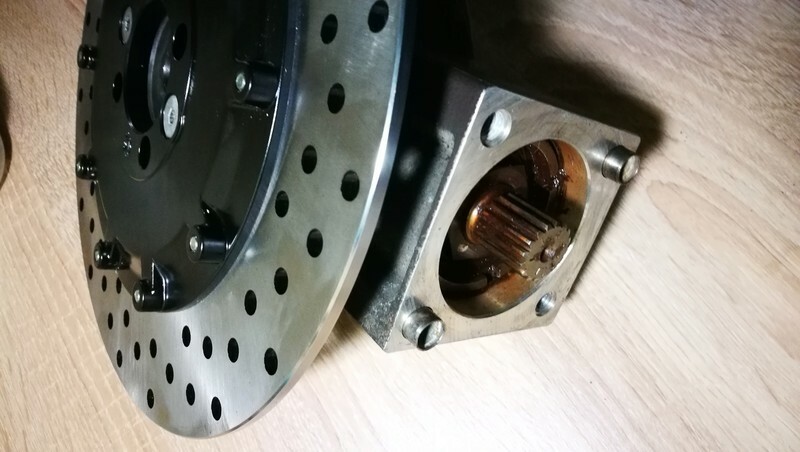 What's the type of oil (300-350ml) inside the final drive ? Also a regular white , lithium transmission grease wouldn't be proper? Dai the GPI was removed already once 2 months ago so I expect easy removal. As for the rear rotor bolts guess you mean the two extra bolts besides the bolts of the wheel? The two bolts holding the rotor do frighten simply because they will likely be seized and can be extremely hard to get out. Been there. Final drive oil is 80W90 but there also seems to be a higher spec up to 140W. I use 80W90 and change both final drive and gearbox at the same time as they use the same oil. Final drive is up to the bottom of the threads on the filler plug. You need a little over 1 litre for both. I do engine oil and final drive and gearbox at the same time so none are in too long. For gearbox this is your dipstick depth if you don't have the C spanner in your toolkit. 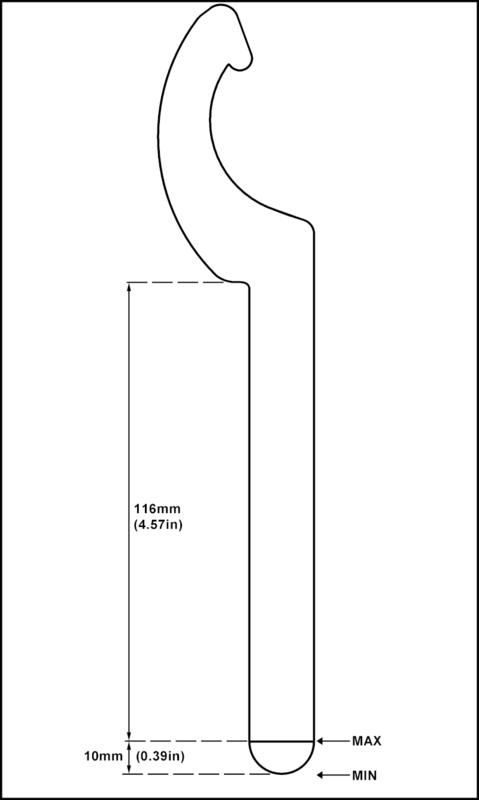 I have a screwdriver in my kit with a mark at 116mm for checking while away from base. DONT use a screwdriver with loose or reversible shafts.....if it comes out it ends up in your gearbox and you wont get it out. I don't have a use for the C spanner as I don't have the original shocks. You can always cut one out of plastic. Dai: Thanks. I'd seen Brit references to a mole wrench before but never had any idea that it meant Vise-Grips. SOMETIMES heating the rear rotor bolts very hot with a torch (a real one, not a flashlight) will make it possible to free the rear rotor bolts so that the heads don't strip. But that doesn't always work. I've never had an issue with the GPI switch bolts. @duck wrote: Dai: Thanks. I'd seen Brit references to a mole wrench before but never had any idea that it meant Vise-Grips. i still have a spanner of my rear shock. Its a WP one and its span key looks exactly like that! You don't need to remove the disc from the drive to do a lube job. Don't let the swing arm drop when the shock is detatched , the drop will damage the rubber boot to the gearbox. If the left swing arm pivot bolt is difficult to remove try to get in behind the case and clean the thread, it will be covered in grit. When you replace the pivots leave heaps of grease there to protect the thread for future removal. @RicK G wrote: You don't need to remove the disc from the drive to do a lube job. +1. The rear rotor only needs to be removed if you need to replace it or swap final drives. The reason i want to remove the rear disc is to replace it with a brand new Brembo one. The current disc is worn out and shows some cracks (both sides) along its surface. As for the swing arm drop.. I hope i didnt do damage already when i removed the rear shock to powdercoat its spring. I removed the spring with the rear wheel / tire on though. The one piece of info i'm still missing is the grease type for the spline. Are there any special characteristics i need to pay attention to or to avoid? The issue with letting the swing arm drop too far is that it MAY cause the swing arm boot to pop off. This doesn't always happen and isn't the end of the world because all you need to do in that case is pop it back on. 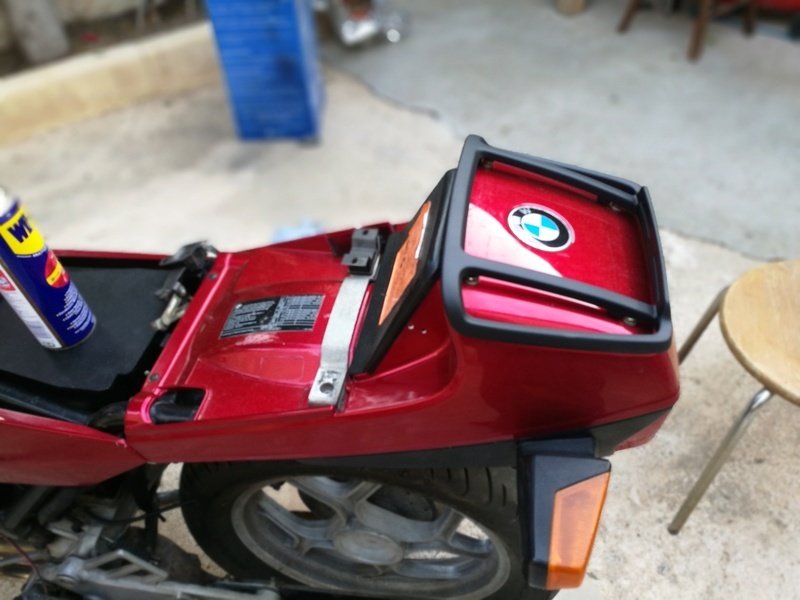 You can tell if that boot is attached properly by pulling the swing arm back slightly (with the pivots removed) and letting it go If the boot as still attached properly then it will cause the swing arm to move back towards the transmission. I always to this when putting the swing arm back on to ensure that the boot is seated properly. Check the boot it may have a cut about 10 - 15mm long. I just clean the cut with acetone and use super glue and have never had one fail yet, in 10 years. allright! Wil do the check! Thank you all! 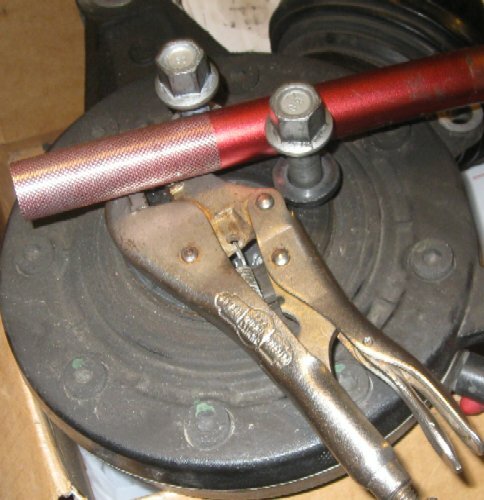 @George_Pap wrote: The one piece of info i'm still missing is the grease type for the spline. It's strange you should be missing that one piece of info because it is one of the most discussed topics on the Internet among BMW owners that ride shaft-driven bikes. 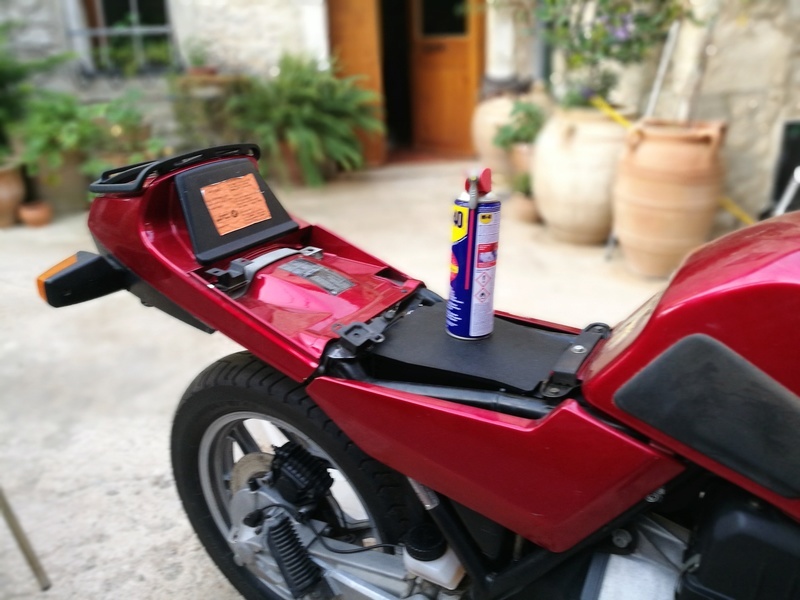 Pay attention to be sure the lubricant is stiff like paste rather than soft like grease. Only a relatively thin covering is used on splines. I brush it onto clean splines with a toothbrush. I've done the transmission input splines twice, the driveshaft and final drive input splines five times and there is still some remaining in a container similar in size to a 35mm film canister that contained 30 grams of Staburags NBU 30 PTM. Avoid applying it with a cake decorator. Excess lube wastes money and also can be slung onto the clutch disc if you over-do it on the transmission input side. I don't think that stuff's available any more... is it? George - in Europe it's probably easier to get hold of Castrol Optimol. Correct. The guy who owned GD retired and closed up shop a couple of years ago. Really appreciated all the help. Never thought that getting the correct lubricant would be such a headache! Got down to this grease . 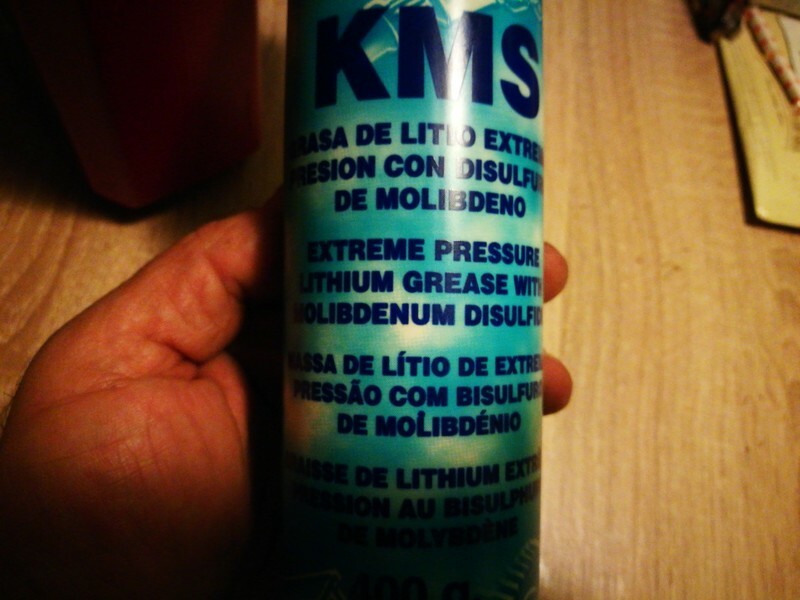 Krafft - extreme pressure lithium grease with molibdenium disulfide. From a Moto lubricants store. It's feel in my fingers regarding thickness is like a toothpaste . I m ordering also the Castrol molylube from motoworks but until arrival I ll be putting this one tomorrow. 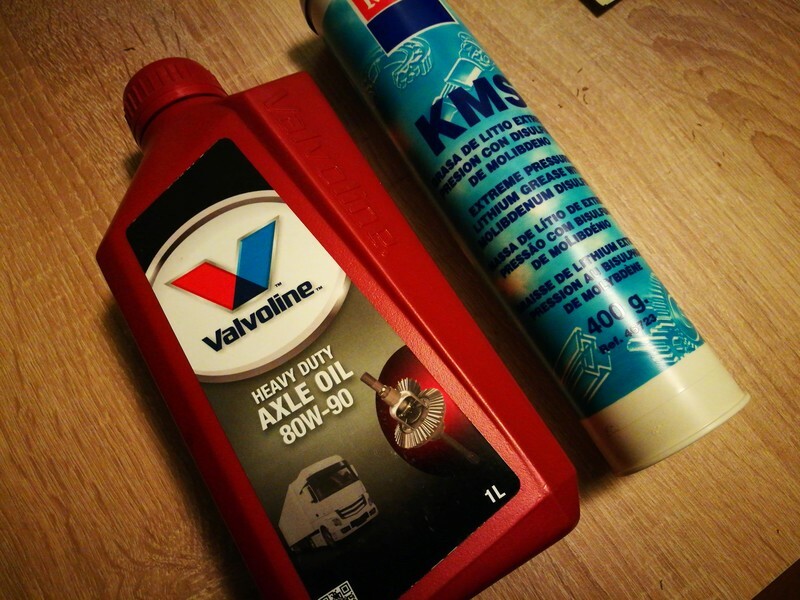 Adding Moly to the transmission gear oil helps smooth out shifting. It take several hundred miles to work its way in but after that the difference in shifting is noticeable. I see that duck replied already but here is mine, "Yeah, I just checked Snowbum’s site and they went out of business two years ago. Lots of good information here on other spline lubes though"
I’ve always used Optimol on small clutch splines. White was the preferred but I ran out and have a tube of silver. Higher temp stuff I think. Used it on the K’s rear splines and in summer will do the clutch and re inspect the drive once more. I have some LM47 which I’ve used for years on R rear splines and I suppose this would be fine on the rear drive of K’s too. Rear disassembly was smooth . No problem with any of the bolts Boot was in great shape. Rear disc replacement also smooth, a couple of minutes heating of the two Allen bolts helped removing them without stripping. Also replaced front brake main cylinder by using a 13mm pump repair kit from Motoworks. Bleeded also the front brake system ok. Here s is the spline so any feedback from your experience on its condition appreciated. To my eyes looks ok , ok found, some rust muck inside but after cleaning splines look fine. Throttle after opening became some kind of rough in feel, like teeth rubbing , no linear feeling in throttle turning . Put some grease in but no special improvement. Opening throttle feels ....clicky ?! Steppy? Any suggestions? Replaced also the GPI sensor. Still no luck. Ok I was getting some 1 if I was keep pressing the gear lever down with my foot. Otherwise blank . 2 sensors in a row with the same behaviour. Ok, both were used ones. Instrument checked LCD works fine , green light too..
George_Pa wrote: Throttle after opening became some kind of rough in feel, like teeth rubbing , no linear feeling in throttle turning . Check the 'teeth' at the end of the throttle twist tube and also on the cam disc (gear and chain - attached to the upper end of the throttle cable) which actuates the throttle. These can become worn and will feel 'steppy' or notchy and intermittent even with a good smear of grease on them. The only remedy is replacement if they're worn. Keep in mind the single mark which shows where alignment takes place between both the gear and the throttle tube end. Your GPI issue may be due to a bad connector. The spline on the drive is fine what is the condition of the spline inside the shaft. I would expect it to be good but I have seen bad shafts and good drives before. Original Bosch new fuel pump , vibration ring, pump base replaced. Fuel sender (early model) replaced with a used one. Front brake pump 13mm replaced due to leaking on the front brake lever. Swing arm disassembled and lubed the spline , new valvoline 80/90 fluid in the final drive shaft. Partial fairing back in place , missing the two lower parts that are being painted . At this point I really feel the need to thank you all for your precious advise and help . Without this forum none of the above tasks could take place. I took my RT to work yesterday and tried to put as more kms to it as possible . Did about 140 km and besides the none working GPI and fuel lamp everything worked like a charm. Also had problem strarting it once ( of approximately 10-12 starts yesterday ) . Took a lot of starter spinning to get the engine on. I ll be monitoring this behaviour. I recall that one thing that s left not swapped since the ressurection try is the air filter . Mechanic that inspected the bike initially said it was ok.
Could this cause starting random starting failure ? Also there are are 4 flat screws on the injection bodies. What do the do? I set the idle running to 1000 - 1100 rpm when cold. What do you read in the different gear and neutral? cylinder at idle...........vacume gauges is used to carry out this task. Blank in Neutral. No green light ofcourse. When kicking first gear in i get 1 on the lcd but after lifting my foot from the shifter blank again. From time to time i get 1 on lcd for some seconds then blank. In 4th gear i get the number 5 on LCD. Steady most of the time. Not always, but most of the time. Never had proper reading on 5th. I just get blank. As the replacement sensor was from a newer model with black plug and round pins i have the cables directly connected and sealed to the female pins of the instrument side. As for the 4 screws i m affraid that the mechanic messed with them as i recall. Totally in blind. Idle rev is too high when bike warm. 1200 rpm. And when i lower the idle rev screw (hexnut in the middle of the injectors body) i get very poor idle rev when cold. Is there a way/symptom to identify the correct air amount? switch is out of position. Disconnect the switch at the connector above the gearbox. Leave the bike in neutral. three of the yellow wires....you should have continuity between all of them. At the harness side connect all four wires together. With ignition on you should read 0 in the display and the neutral light on. of vinyl tubes, ATF and some plastic fittings. it live on a movie than explain it in bad English. To be used only on idle! I did the GPI check exactly as you describe when sensor was visible with the swing arm removed. I don't get continuity with brown and other 3 cable combinations. The test from connector to the instrument was successful though. What about the position? The cut of the cylinder that comes out of the gearbox was aligned horizontally as the corresponding cut on the switch female side. Another clue maybe worth to mention is that the left screw that holds the sensor in place is stripped but even with pressure on the sensor with my hand the behaviour was the same. Then it's obviously here the problem is....if the gearbox was in neutral. Damaged end of the selector drum......which is hard to believe. wires when the gearbox is in neutral. Selector drum? I guess you mean the pin that drives the GPI switch? The one in the gearbox? engages with the switch....it should be a rather tight fit without any play. to the problem...and it lets the switch out of position. checking out the old switch.